Labels to your exact specification - check them out. 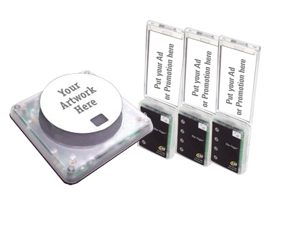 We offer custom designed inserts for the Adverteaser and custom labels for the coaster call for re-branding. 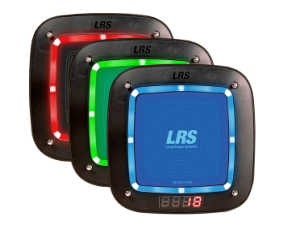 Advertise new products, or simply customize the pagers with your company logo. Gather any digital files you may need such as your logo or any other artwork you wish to have incorporated. We prefer to work that is vector based such as .eps files from Adobe Illustrator, Corel Draw or Macromedia Freehand. If you can't obtain vector based art, a high resolution .tif or .jpg will work as well, although these are less flexible. 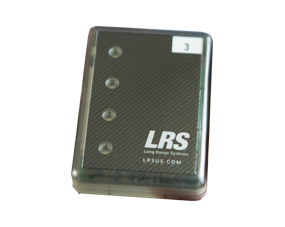 Contact LRS graphics department to discuss layout and address any other questions you may have. 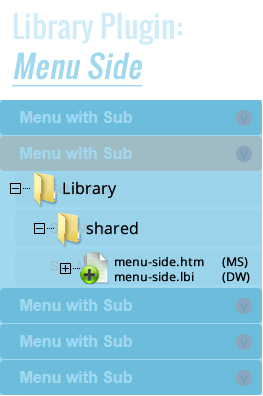 We can handle files smaller than 2Mb via email. When we have prepared the artwork for you then you will receive a digital proof. Review and approve or reply with corrections. Once your labels arrive, place them on your coasters, directly over any existing label. Thats it! fully customised pagers. 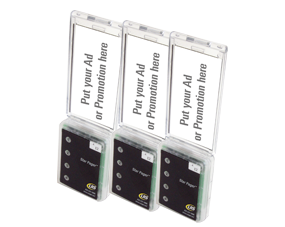 Advertising or message on the pager body. Used for customer, guest or patient recall but can be used for logistics and driver recall too. High in features, the CS6 is our newest customer, guest or patient pager and is a massive hit with our customers. 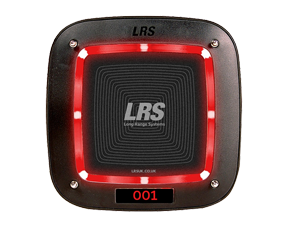 Powerful customer or patient pager the CS7 includes 'acknowledge' mode to ensure that the system knows that the customer or patient received the message.